Waihola Room 2: Wow who did this? Good luck on Friday with the Ukulele jam! 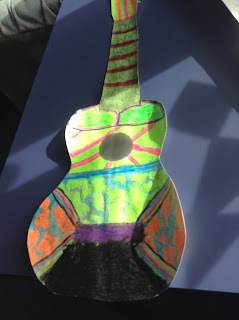 Can someone please tell me all about what this coloured Ukulele is for, and who made it? wow! your ukulele looks really cool and also the colours. Is your name Rowan?